Lanette has enjoyed working on numerous projects in healthcare, finance, corporate, retail, education, and hospitality. She specializes in providing complete interior packages for clients including furniture, plantscaping and art. Very active in New Orleans’ thriving local art community, Lanette promotes to the greatest extent possible, local and regional artists and artwork to complete VergesRome’s clients’ facilities. 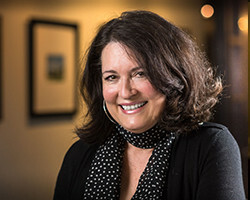 Prior to joining VergesRome, Lanette was a principal and partner in a small architecture firm where she was involved in all aspects of the business. In her spare time, Lanette works on her personal art projects, helps family and friends with their residential design projects and attends art openings.